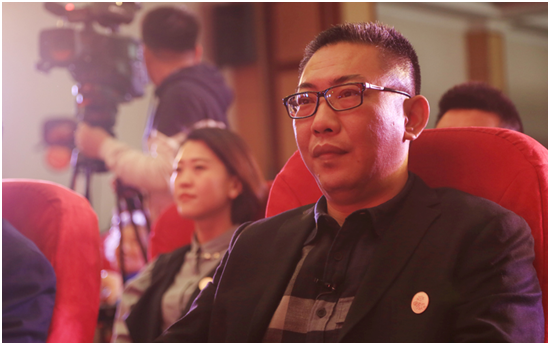 April 18th, Chiaus Group Balas brand adult diapers unite China Aging Development Foundation and CCTV Old Stories Channel held "Fill the world with filial piety with you" public benefit press conference in Beijing Evergreen elderly nursing home. 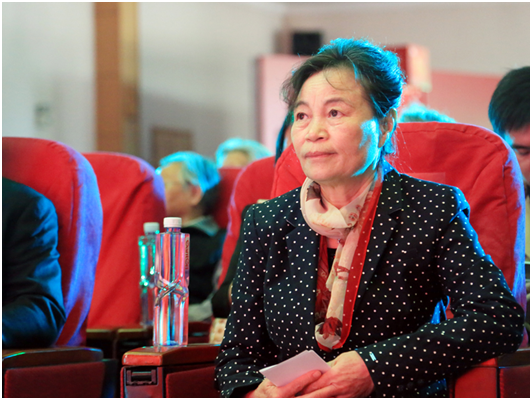 This activity take“care the world with filial and kindness conduct”as slogan, advocate social concerns of older age groups, and inherit traditional Chinese culture of filial piety. Call for more social forces to participate in the public benefit actions of caring the elderly population, and to fill the world with filial piety with Balas. 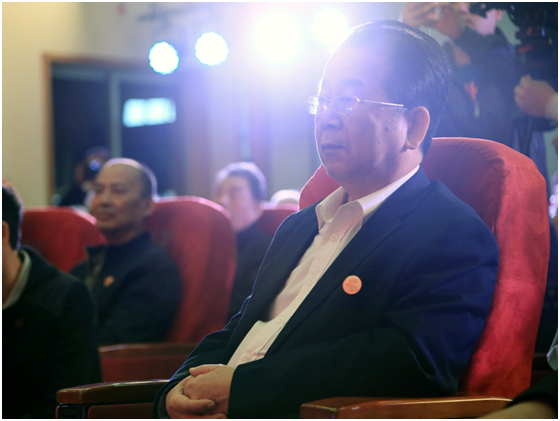 Chiaus Group chairman Mr. Jiaming Zheng, China Aging Development Foundation, vice chairman Mrs. Guorong Zhang, CCTV Old Stories Channel column group, and the famous singer Wang Jieshi, the national first-level actor Du Ninglin, young singer Hexiang Huang attended the conference. In the conference, Chiaus Group chairman Zheng Jiaming, China Aging Development Foundation "My Elders" Public Fund Management Committee and executive deputy director Yanan Cui, CCTV Old Stories Channel "My Father and Mother" column producer, director Zhu Yanfeng, and three celebrity artists together lighting the launch ceremony of this activity. "Care for the elderly population, inherit Chinese traditional culture of filial piety" has always been the public philosophy of BALAS. 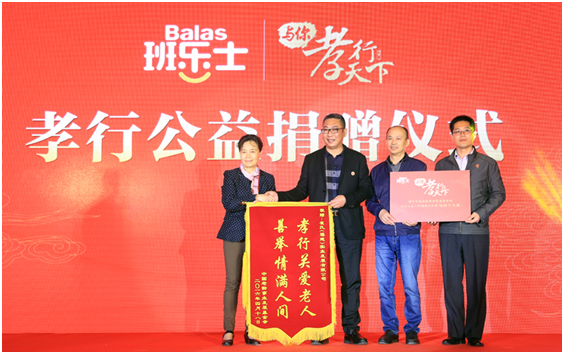 In order to inherit and develop better the "fill the world with filial piety" public philosophy of BALAS, in the conference, Chiaus Group chairman Jiaming Zheng, as representatives of BALAS, donated 600,000 worth Balas adult care products to China Aging Development Foundation and said that, Chiaus will bring the best products and the most advanced patented technology to the old age groups who needs to be caring and being taken care of in the whole world. 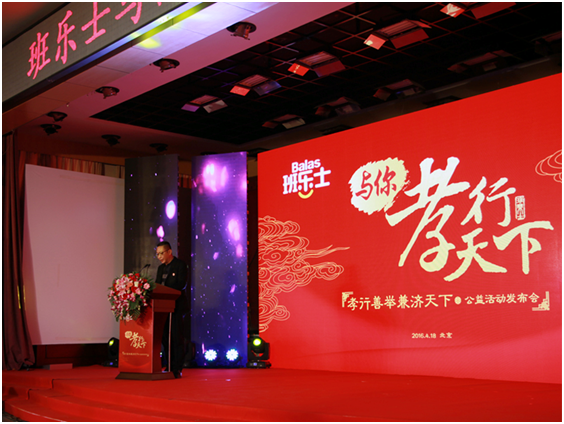 Meanwhile, organizers appointed senior adviser of Chiaus group, chief commander of Chiaus R & D Mr. Yangzeng Yang as the campaign charity ambassador of "fill the world with filial piety with you", and called for more social groups and individuals and classes together with BALAS to fill the world with filial piety. On site of the activity, chairman of Chiaus Group Mr. Zheng Jiaming said: "BALAS brand will always be committed to carrying forward the traditional culture of filial piety, and hope to use the filial spark of Balas to fire more national enterprises and public activists together to carry forward traditional Chinese virtues of filial piety, and let the world fill with filial piety". The speech won a standing ovation. 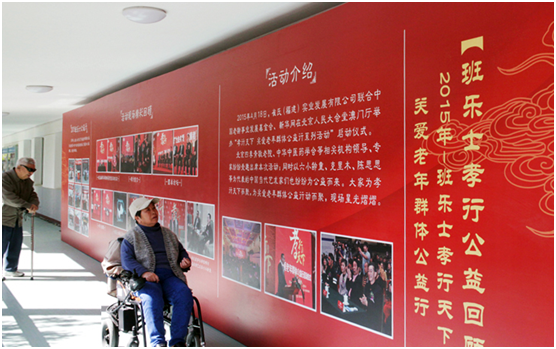 It is reported that from April 18, 2015, BALAS started "fill the world with filial piety" care for the elderly population welfare line projects in the Great Hall, so far, it had made public welfare donations to 10 domestic pension institutions, which brought warm and care to countless elderly. Everyone should expend the respect of the elderly in one’s family to that of other families , filial to the parents, are sons and daughters of responsibility; care for the elderly with filial piety, is the basic accomplishment as a social human. 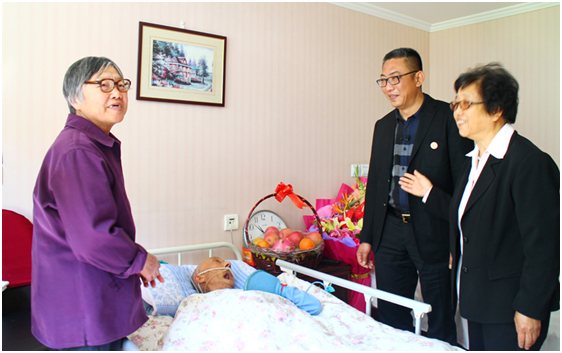 Balas sincerely invite everyone to join in the social benefit activity "fill the world with filial piety" public action together with Balas, so that more elderly people can spend their old age happily with a sense of security.